Dr. Gerald Enlow is proud to offer teeth whitening to his Newburgh, IN area patients. He utilizes the BriteSmile in office whitening system to brighten the smiles of his patients. BriteSmile is the best investment you can make in yourself. 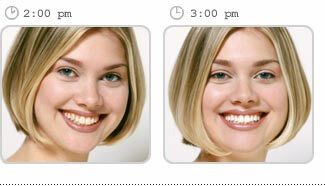 The revolutionary technology is clinically proven to get your teeth their whitest. Over 800,000 happy clients worldwide agree! Sit back and relax for awhile your Newburgh area dentist, Dr. Gerald Enlow, oversees this safe and gentle tooth-whitening system.